Guizhou province, in southwest China, one of the country's least developed areas, suffers from its many mountains which are a barrier to transportation development, but fortunately they have proven to be the perfect place to tryout some eye-catching bridges it has built over the past 10 years. Zou Shiming last fought nine months ago, but his hectic schedule in the interim suggests China's two-time Olympic gold medalist might be guilty of resisting a rest. The Lizigou Grand Bridge, which measures 1,032 meters long with three main spans, is one of two massive structures on the Neijiang-Kunming Railway line. 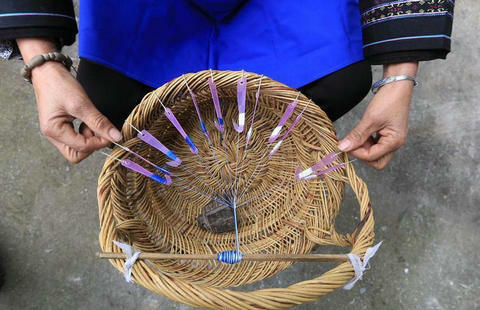 A woman of Dong ethnic group makes cotton yarns used for weaving traditional Dong cloth in Lexiang Village of Rongjiang county, Southwest China's Guizhou province, Dec 19, 2015. 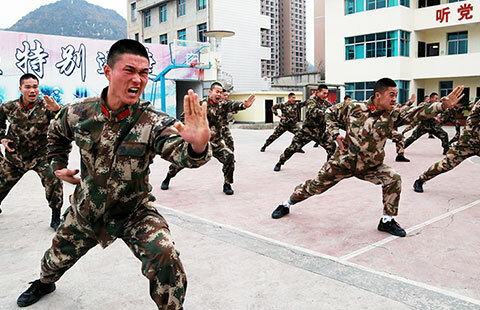 Photo taken on Dec 18, 2015 shows that armed police receive winter training in Southwest China's Guizhou province. 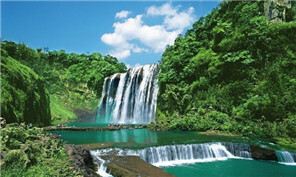 Guizhou province has been catching people's eye at the World Internet Conference. The world's largest and most sensitive single-aperture radio telescope, which already is under construction in a natural basin in Pingtang county, Guizhou province, is becoming part of a more ambitious business plan.